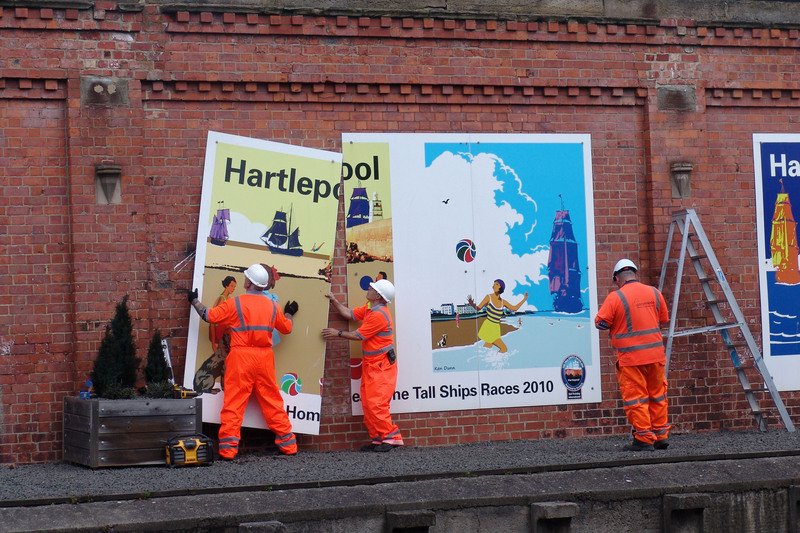 Two weekends in May saw the replacement of the 2010 Tall Ships artwork on the wall of the disused platform at Hartlepool with a new set of artwork depicting Hartlepool’s attractions. 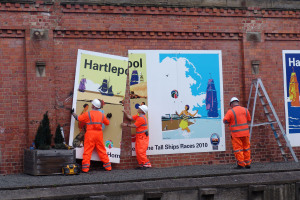 Sponsored by Hartlepool Borough Council and Grand Central Rail in conjunction with Cleveland College of Art & Design, the artists were Abigail Taylor & Owen Smith. 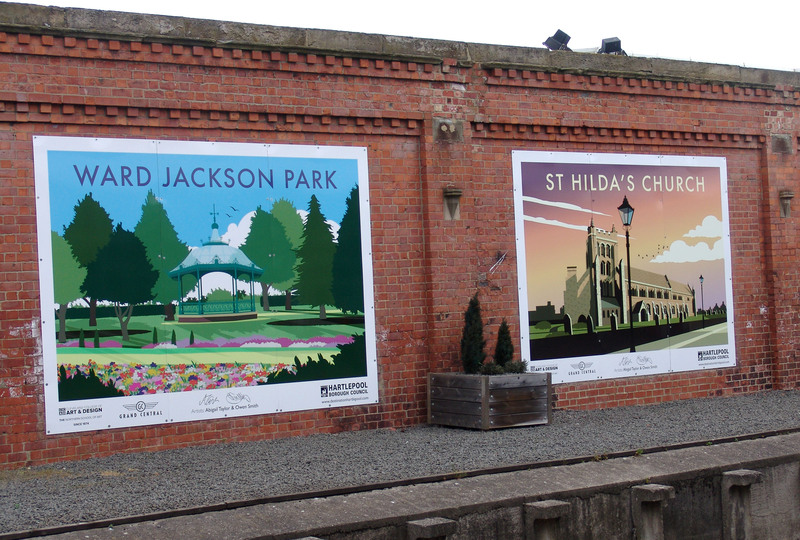 All the pictures are in the fashion of bygone railway posters. 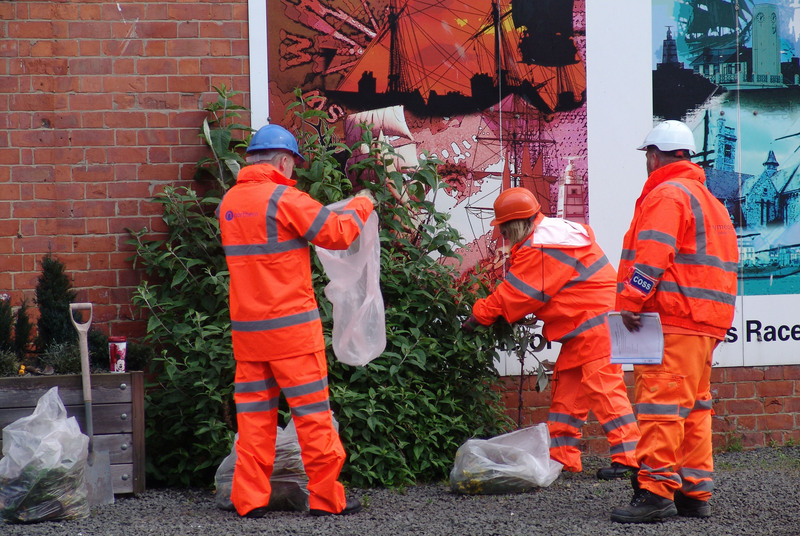 At the same time the Friends of Hartlepool Station took advantage of the opportunity of access to the platform offered by Hartlepool BC and Network Rail to clear the weeds and generally tidy up. A CRP for the Tees Valley? 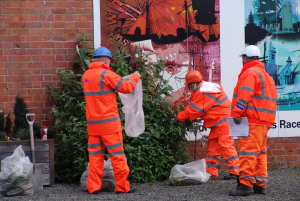 Encouraged by Northern, Coastliners have been investigating the possibility of the line becoming a Community Rail Partnership (CRP). At our meeting on 27th April we were therefore pleased to welcome Brian Barnsley, Operations Manager of the Association of Community Rail Partnerships (ACoRP) as our special guest. Brian was able to take us through the necessary steps to achieve this objective and to explain some of the details of the workings of a CRP, particularly in regard to community involvement. 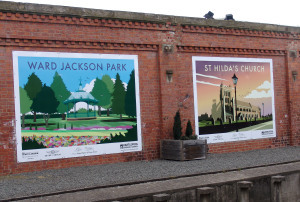 A new idea which he suggested was the possibility of establishing a Tees Valley CRP which would combine the Durham Coast and Saltburn-Bishop Auckland lines. The Bishop Line is of course already a CRP as is the Esk Valley. This proposal has parallels elsewhere (eg the Cornish branches). We await further guidance from ACoRP.